SimbaPay – a leading digital money transfer provider – was on Friday, 25 Sep 2015 announced as the winner of the prestigious DEMO Africa 2015 event which was held in Lagos, Nigeria. SimbaPay now automatically qualifies for the global DEMO event that will be held in Silicon Valley, USA. 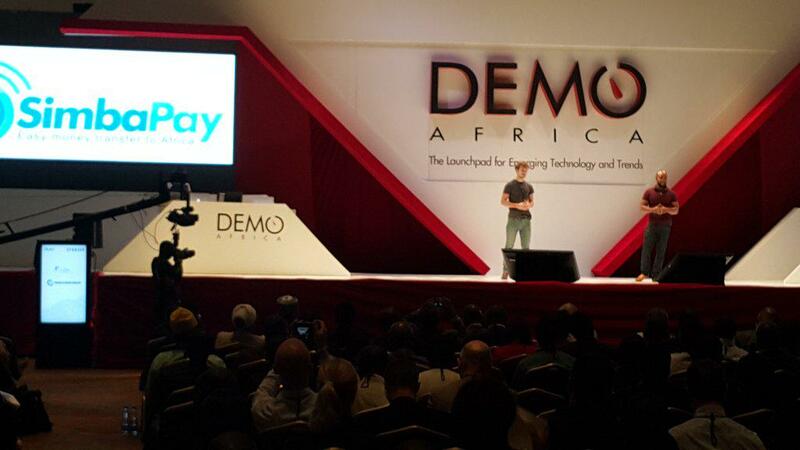 At DEMO Africa 2015, SimbaPay showcased a new service which enables Africans living abroad to seamlessly open bank accounts in Africa using its app. DEMO Africa 2015 launched 30 of the most innovative start-ups in Africa and highlighted some of the best new technology innovations from across the continent. The 30 finalists were the top picks from two rigorous screening processes of over 600 applicants on their ability to link creativity, innovation and effectiveness. The final vetting and adjudication was done by a pan-African panel of judges comprised of entrepreneurs, VCs and academia. The DEMO conferences have earned their reputation for consistently identifying tomorrow’s cutting-edge technologies, and have served as launchpad events for companies such as Palm, E*Trade, Salesforce, Webex, Tivo, VMware and many others, helping them to secure venture funding, establish critical business relationships, and influence early adopters. SimbaPay previously launched free, instant transfers to all Nigerian banks in May 2015. In June it became the first platform in the world to allow Kenyans living abroad to make M-Pesa Pay Bill payments and continues to disrupt the cross-border remittance industry with its focus on speed and convenience.